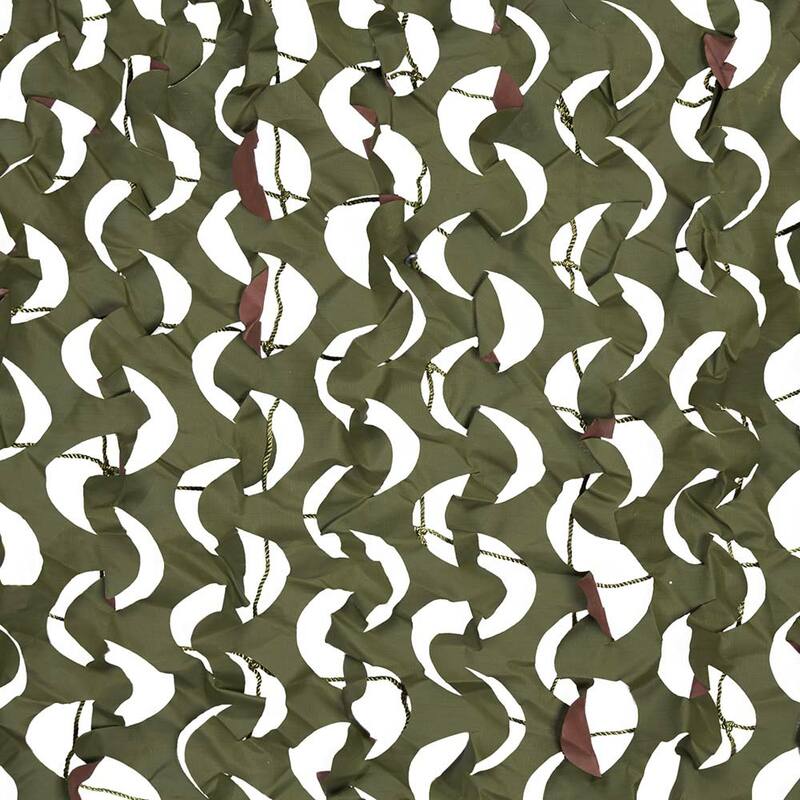 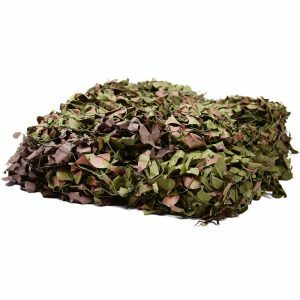 Military Woodland Jungle Camo Net provides excellent cover and concealment owing to its 85% leaf coverage. 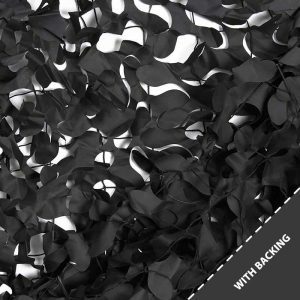 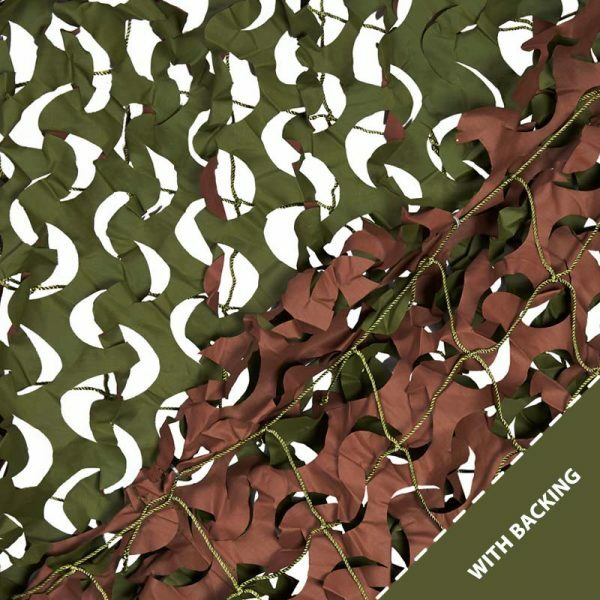 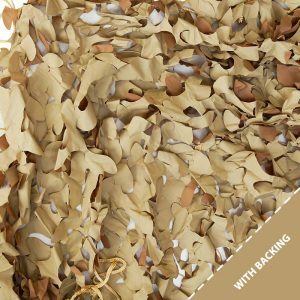 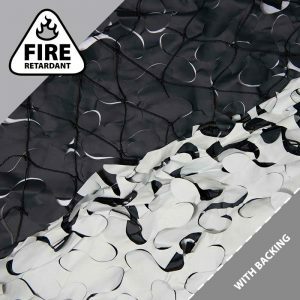 The enhanced strength of this Camouflage Net comes from its use of alloy rings and net backing. 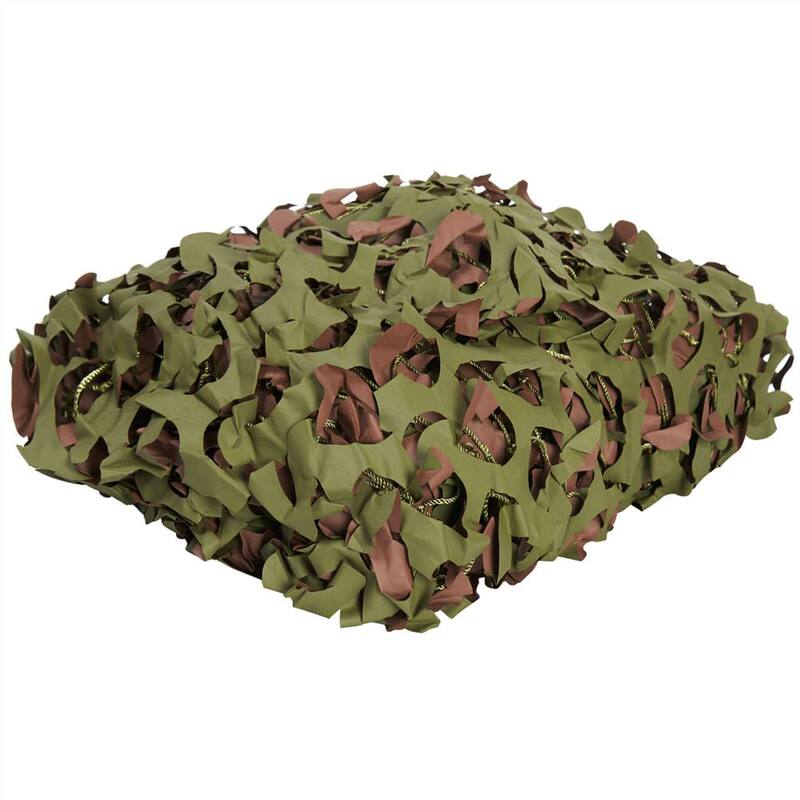 This green and brown Woodland Jungle Net is non-glare and environmentally friendly too, making it perfect for outdoor all use. 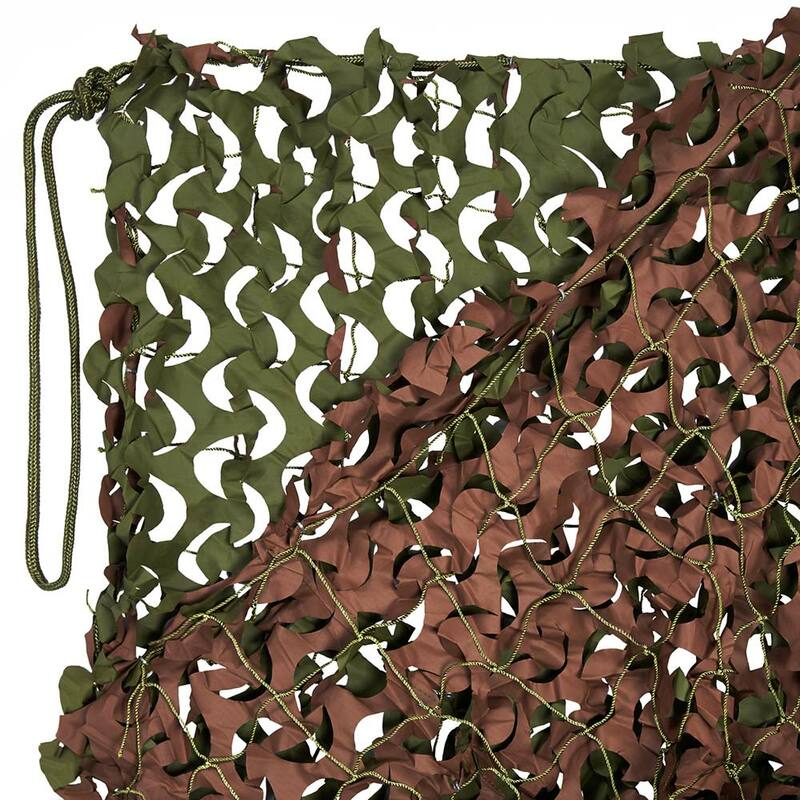 This reinforced netting Has A 85% Leaf Coverage.